Can You Go to Canada If You Have a Civil DUI? Many US states have a civil license suspension law which is an entirely different charge from the criminal offense of driving while intoxicated (DWI) or driving under the influence (DUI). Depending on the exact circumstances, if a person who has no criminal history is arrested for suspicion of drunk driving, they might get off with a civil license suspension and not a criminal record since it is their first offense. For the purposes of Canadian immigration, however, the Canadian equivalent is still a full blown DUI since Canada does not have a civil penalty for driving with a BAC of 0.08 or higher. Consequently, a civil DUI such as a DWAI can still render an American ineligible to go to Canada unless they overcome their criminal inadmissibility. There has been some speculation at various Canada immigration forums online that a civil DUI is not actually visible to officials at the Canadian border. A few people have publicly stated this belief, claiming its validity because the violation is held by the Department of Motor Vehicles (DMV) and not the State Police, and therefore is not picked up by the FBI criminal database. Since the Canadian border has access to the FBI database, they surmise that Canada's border officials consequently cannot see any non-criminal DUIs when a foreign national from the US crosses the border. Attempting to enter Canada with a civil DUI and no Temporary Resident Permit or Rehabilitation simply because of what some strangers on the Internet claim does not seem like an intelligent idea. To begin with, this strategy could easily go horribly wrong if the border agent asks if you have ever been arrested before. Lying to border guards can have major consequences, and if CBSA officials see the infraction in their computer system, and you did not disclose it when asked, you may be denied entrance or worse. Providing false information to border agents about a possible immigration violation can even cause a person to be barred from the country for several years, and border guards are experts at spotting liars. At the end of the day, a civil DUI still renders a person criminally inadmissible to Canada whether or not the border will be aware of it, so unless you want to risk being denied entry into Canada you should consider planning ahead and applying for a Temporary Resident Permit or Criminal Rehabilitation. 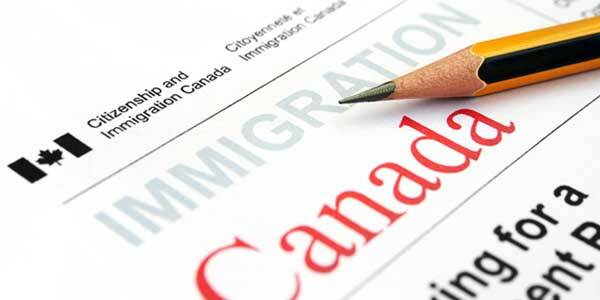 Have a civil suspension for intoxicated driving and want to go to Canada? Phone us now for a free consultation.